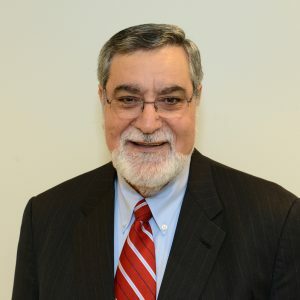 Khalil Jahshan is currently the Executive Director of the Arab Center Washington DC, a think tank focused on researching the Arab World and US foreign policy. Between 2004-2013, Khalil was a lecturer in International Studies and Languages at Pepperdine University and Executive Director of Pepperdine’s Seaver College Washington DC Internship Program. Prior to joining Pepperdine University, Jahshan served as Executive Vice President of the American-Arab Anti-Discrimination Committee and Director of its government affairs affiliate, NAAA-ADC. Throughout his career Khalil has held numerous positions, including Vice President of the American Committee on Jerusalem, President of the National Association of Arab-Americans, and National Director of the Association of Arab-American University graduates. He received a BA in Political Science and French from Harding University in 1972. Khalil serves on the board of directors, and advisory boards of various Middle East-oriented groups, including ANERA, MIFTAH and Search for Common Ground (Middle East). He appears regularly on various outlets including BBC, CNN, C-SPAN, CCTV, France24, RT, Al-Jazeera, Al-Araby TV, Al-Arabiya, Al-Hurra, Al-Ghad Al-Arabi, Ekhbariya TV, Al-Iraqiya, Qatar TV, Saudi TV 1, Saudi TV 2.